June 18th, 1952 was the most important day in the history of scouting in Nepal. Father of the nation the late, King His Majesty Tribhuvan Bir Bikram Shah , formally inaugurated Nepal Boy and Girl Scout Association by hoisting its flag in Narayanhiti Royal Palace. 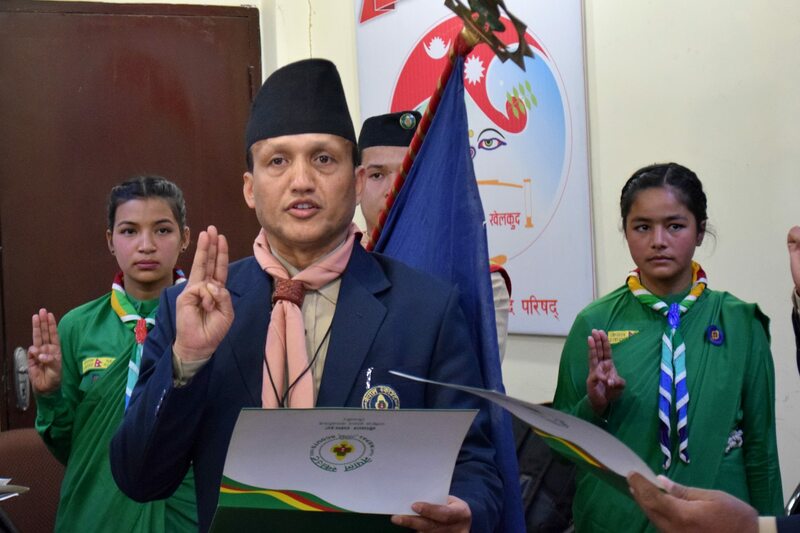 A group of scouts and Scouters from Bharat Boy Scouts and Girl Guides Association under the leadership of the then organizing Commissioner Shri Bajpai came to Nepal and trained a group of 30 Nepali Scouters. The completion of the course coincided with the establishment of the association. Mr. Mrigendra Shumshere J.B. Rana and Dr. Trailokya Nath Upraity were among the core group of people who were instrumental in initiating scouting in the country. 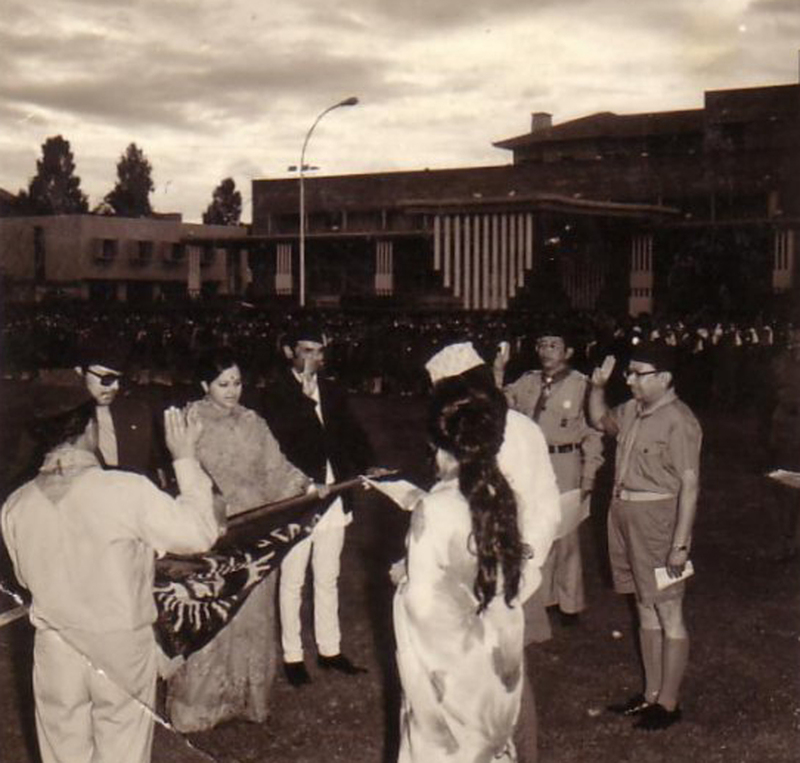 On June 18th, 1959, (Asadh 4th, 2016 Bikram Sambat), the then His Royal Highness Crown Prince Birendra Bir Bikram Shah Dev was appointed and invested with as Chief Scout by His Majesty King Mahendra Birt Bikram Shah Dev at the Royal Palace Premises. It was the proudest day of the movement to have the Crown Prince as Chief Scout. This paved the way for a steady growth of the movement. This was another great landmark in the history of scouting in Nepal. The tradition of celebrating Scouts’ Day at the Royal Palace premises was established. The same day, Chief Scout inaugurated the National Headquarters’ Office at Chet Bhawan which consisted of two modest rooms, made available through the courtesy of the College of Education. The establishment of this “permanent office” helped to coordinate the activities of scouting which had sprouted in various places in the kingdom. The year 1959 was important for another reason: Nepal Boy and Girl Scout Association was able to establish a link with the then Far-east regional Scout Headquarters (Now Asia-Pacific Regional Bureau) of the World Scout Bureau (now World Organization for the Scout Movement). 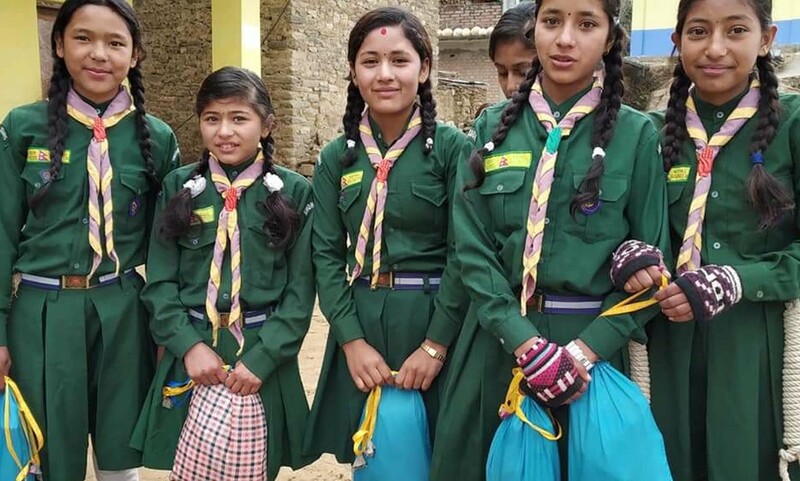 It may not be out of place to mention late Gerald Fernande of Sri Lanka, who was the first person to have come from the Far-east Regional Scout Headquarters to assist the Nepal Boy and Girl Scouts. Scouting gradually caught on and became popular. The main problem of scouting was the shortage of trained manpower and fund. So naturally, emphasis was given to the training of scoutmasters or scout leaders. His Majesty’s Government provided an annual grant of Nepali Rupees 1,600. This allocated fund was just about enough for “running the office.” The management of the office and training of scoutmasters done through the voluntary service, in the truest sense of the term, provided by interested volunteers-men and women. 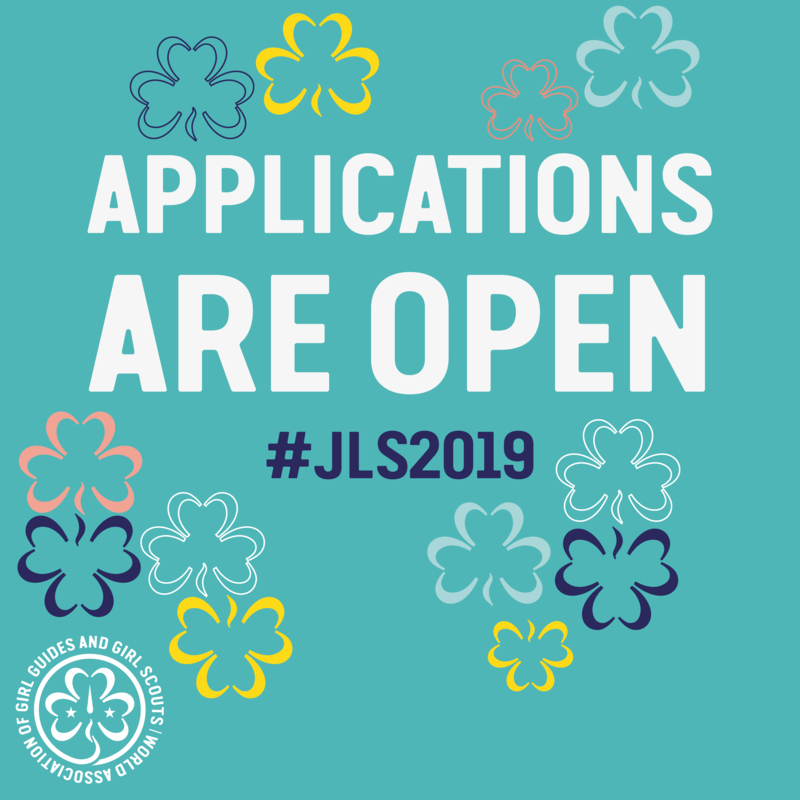 In 2020 Jestha 7-13 (B.S), the first Guide Captain training was organized with the assistance of the World Association of Girl Guides and Girl Scouts (WAGGGS). This was a milestone because this laid the foundation for the Girl Scout section to develop a separate identity. 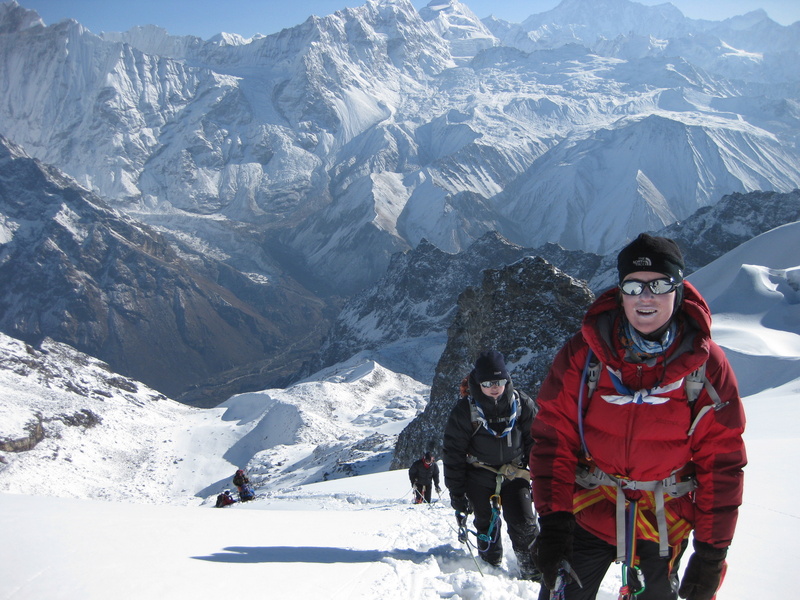 From that period, Nepal Scouts is a joint Association with two separate sections viz Boys and Girls. Both sections function as per the requirements and policy of WOSM and WAGGGS. The boy Section of Nepal Scout was awarded the full membership of WOSM in 1969 likewise the Girl Section received its full Association with 30 members in 1952, is now the biggest disciplined uniformed youth association in the country. The return of Chief Scout from abroad from broad after completion of his higher studies gave an impetus to the movement. The Chief scout took very keen interest and provided an active leadership. It may be recalled here that the Chief scout chaired the Scout Executive Committee meeting once a month. Scouting grew up organizationally and numerically. In course of time, scouting was recognized both within the country and outside the country. Nepal scouts and scout leaders were able to participate in scout activities and conferences abroad. Similarly, scout leaders and scouts visited Nepal. On the 16th April 1969 (2nd Baisakh), the Boy section of Nepal Scouts received membership of the World Organization of Scout Movement (WOSM). In other words, Nepal became a member of the largest youth organization in the world. The Girl Section followed suit sometime later. It received an associate member of the World Association of Girl Guides and Girl Scouts (WAGGGS) on the 4th September 1978. Full-fledged membership was awarded on July 17th, 1984. 18th June 1978 is another day to be remembered. 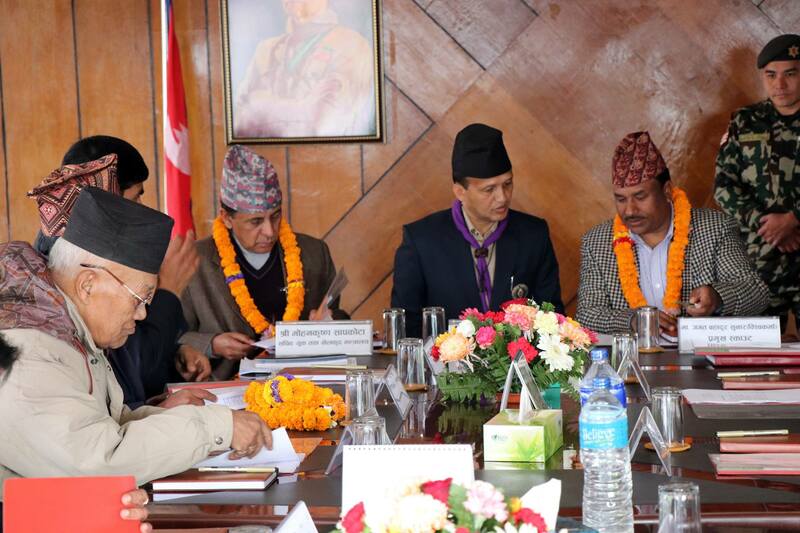 Chief Patron, His Majesty King Mahendra Bir Bikram Shah Dev enforced the Consolidation Plan proposed by a task force appointed for the purpose. Please subscribe to receive the Newsletter/Announcement/Circular from Nepal Scouts.